Chofer profesional en un vehículo privado. Evite el estrés de reservar un taxi o de encontrar un servicio de transporte cuando finalice su crucero. Simplemente ingrese la hora de llegada de su barco, su puerto de escala y los detalles de la salida de su vuelo de Fort Lauderdale cuando realice la reserva. Pague por adelantado y luego muestre su cupón a su chofer. Los paseos están disponibles las 24 horas del día, los siete días de la semana. El precio es por persona, basado en cuatro pasajeros por sedán. we called when we got through customs and the car came and picked us up at the cruise terminal. The car was clean and the driver was very friendly. I would do this again. 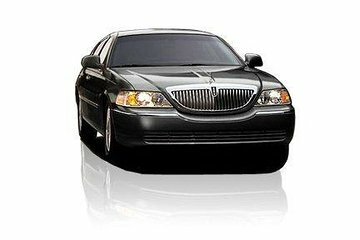 We booked transfers to and from the Ft. Lauderdale airport to the port in Miami. Both car rides were very comfortable, with spacious clean vehicles. The drivers were right on time and very accommodating to our schedule. Both drivers were personable and friendly. I would highly recommend Viator, whether for transfers or for excursions. We will be a repeat customer in the future! Although the driver was very nice, the luggage for four people barely fit into the trunk. You should have dispatched a van of some sort. Pick up was from the center island out side the terminal. Pick up was about 15-20 min's which was ok. The driver came with our names on a sign for pick up. Worked out great and we were at the air port in about 5-7 min's due to traffic and construction. Only part I don't like is the cost which was very high for such a short drive. This was a quick, cost -effective way to get to the airport after our cruise. The driver was very friendly and helpful. Would definitely book again. Inside of vehicle clearly demonstrated wear and tear beyond expected for a $65 trip to the airport plus tip. Bottom line, dirty interior, worn, okay look outside appearance. I might as well have asked a teenager to give us a ride in their parents car to the airport. When I called prior to my trip, I was told to call when I retrieved my luggage and a car would be about 30 minutes. On the day we came back, I called when I retrieved my luggage but was told to call back when I was through customs. I would think that if it took 30 minutes for a car to come you would send it then. I called again when I got through customs, waited on the line for about 5 minutes, then finally spoke to someone. We then had to wait 30-40 minutes for the car. The driver was considerate and called with his ETA, etc. The one flaw in booking a transport through VIATOR from the ship pot to the airport is that one is required to call the 1-800 number to tell the cab that we are off the ship. No one told me this at the time of booking and without a long distance plan on my Canadian cell phone it cost me money to do that. Furthermore, based on the picture in this add and even on this feedback form I thought i was booking a limo...but a van from another company actually picked us up. I would not use this method again and just grab a taxi. I wish VIATOR had explained these details. I felt misinformed and for the price we paid I was disappointed we were transported in a van. I don't understand why our driver could not have possessed the same voucher, show it tot he port authorities and then be in the pick up zone waiting for us like personal vehicles seemed to be doing. Positive: Clean car. Negative:Had to make several calls to the transfer office before the car came. Driver said we had to pay even after I presented the paid coupon and he threatened to take us back to the cruise port. Finally we convinced him to call his office and it took several calls before he admitted it was prepaid. The other car used by another group of us did not have problem with the coupon.